and store wind energy in the most efficient and reliable manner. Windlift’s Airborne Power Generation (APG) systems employ proprietary designs and engineering to capture and store wind energy in the most efficient and reliable manner. turbines while using only 5% of the material. 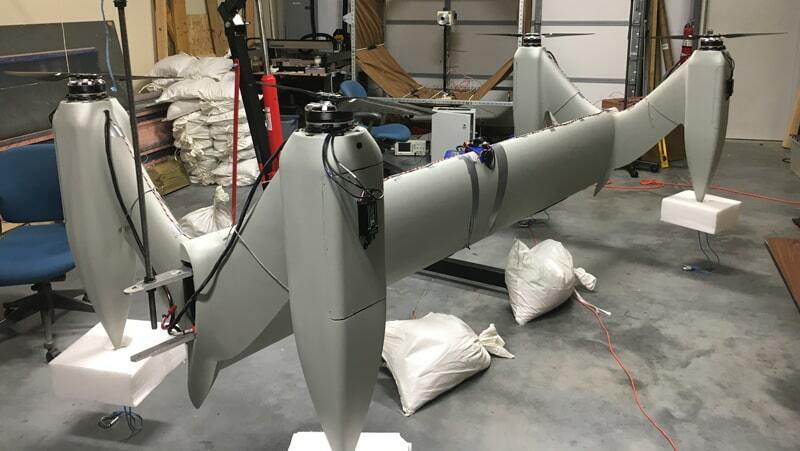 Due to their high operating altitude and unique aerodynamics, Windlift’s Airborne Power Generation (APG) systems can capture the same per unit energy output of traditional wind turbines while using only 5% of the material. 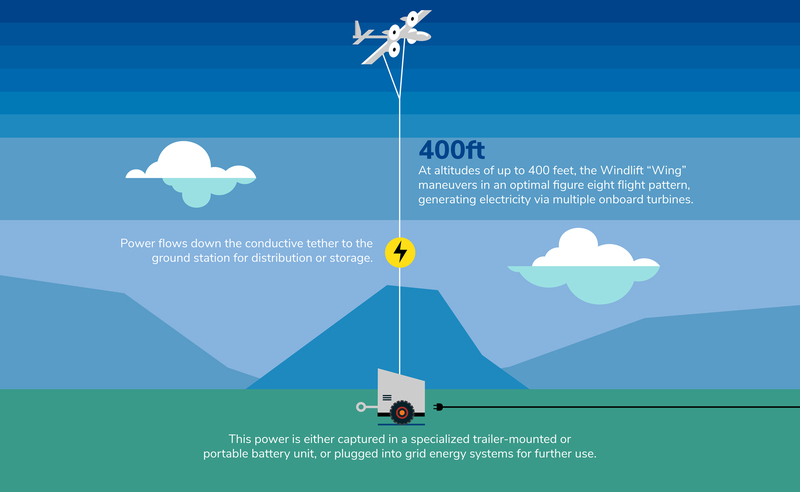 Windlift airborne wind energy systems operate at higher altitudes (200-400 ft.) where winds are faster and more consistent, and energy can be generated much more efficiently. 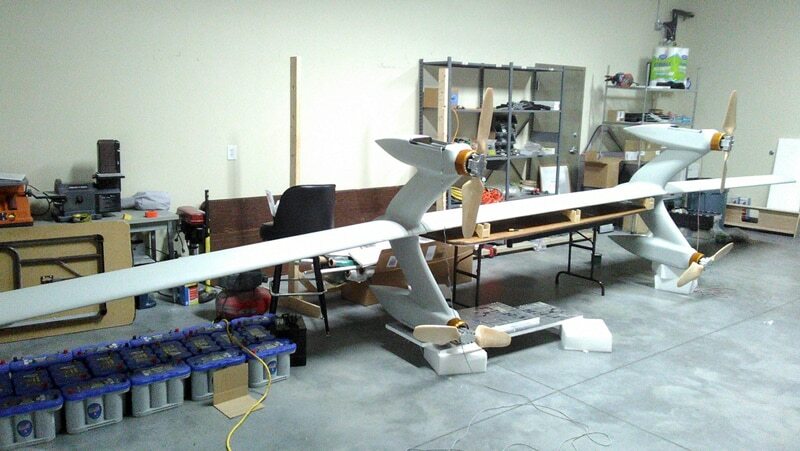 The entire system (wing, tether, ground station) is extremely compact and provides over 7x the power density (power/mass) of solar systems, and 10x the power density of existing wind turbine systems. These compact systems can be transported anywhere, and deployed completely in 30 minutes or less. Each unit is designed to operate continuously for five years, in almost any weather condition. Traditional wind turbines are limited to slower, less consistent low-altitude winds. Large blades, tower, and supporting infrastructure require vastly more materials to build and even more resources to maintain. Wind turbines take months to install and are permanently embedded in a single location. Solar arrays require more space, more installation time, and more materials to yield a comparative output.